Get A GUARANTEED “AS IS” Fair Cash Offer Today. Avoid the hassle of realtors, repairs, and months of uncertainty. Hundreds Of KC Metro Area Homeowners Have Sold The Easy Way With kcmoHomeBuyer. Need to sell your house fast? We buy houses across the Kansas City Metro on both sides of the state line. We promise to give evaluate your needs and provide a personalized and custom experience. Let us help you explore your options between the traditional Realtors route and the fast, no hassle cash offer we can make. 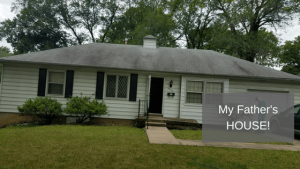 Learn how you can move on with what’s next when you don’t have to worry about cleaning out, fixing up, open houses, inspection repairs and waiting. Stop the frustration and let us buy your Kansas City Metro area house, regardless of condition. Does your property need work? Will it cost thousands—or even tens of thousands— of dollars to get your home in the condition needed to sell? Do you no longer love living in your home? Maybe it’s become a burden and you’re ready to move on to the next chapter in your life? Do you want a guaranteed quick sale instead of months of uncertainty waiting for a buyer so your home will sell? Our easy home selling process is the quickest way for homeowners to gain certainty that their home will sell while avoiding the hassle of realtors, repairs, and months of uncertainty. 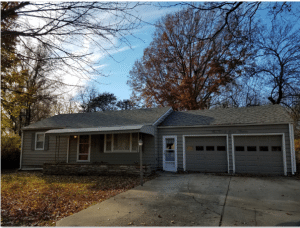 If you need to sell your house fast in Cass, Clay, Jackson or Platte Counties in Missouri or Johnson or Wyandotte Counties in Kansas, this is the place to start. We are here to help and ensure the process is simple and straightforward. Selling your Kansas City Metro area home the traditional way can be stressful, especially if you don’t have time to wait or are going through a tough situation. It takes work, time and serious expense just to list a house for sale, and that’s not even addressing inspections, buyer’s financing falling through and all the other headaches involved in getting to the closing table. Stop wasting time and money trying to sell your house the traditional way. Fill out the form below or call us right now at (816) 800-9044 to get a fair “AS IS” cash offer on your home. to get a fair, no hassle, offer - closing on the day of your choice. IMPORTANT! Be wary of other so-called ‘Local’ Home Buyers who claim they can buy your home in the KC Metro in 7 days. Don’t believe the hype because it’s not true. It typically takes at least a 10 days to 2 weeks And a few others want 60 to 90 days because they don’t have the funding ready to go. That’s why it’s beneficial to work with a trusted local home buyer who has been buying houses since 2000. We are experienced. local real estate professionals committed to fulfilling our sellers’ needs rapidly while making the process as simple and hassle-free as possible. Our family is great to work with because we can move quickly and pay cash for homes that we buy. While these two reasons are enough to motivate most sellers like yourself, here are a few more reasons to sell your house to us. No need to make time-consuming and costly repairs – When you are selling a house through traditional methods you are the one responsible for making repairs, often by the buyer’s lender when they need a loan. Work with us today and we will buy your house “as-is”, no roof to replace, no plumbing to fix, you don’t even have to clean it. Need time to work things out – Many of our sellers are working through different issues that sometimes take a little time – probate, finding a new home, or exploring a totally new warm in the winter place to live. They want to have the peace of mind knowing their home is closing on the week of their choosing so they can go out and deal with other issues. There are no commissions – There are costly closing commissions involved with selling a house through traditional methods and with a Realtor. When you sell your house fast to us we never charge any commissions and you don’t have to come out of pocket for any closing fees.